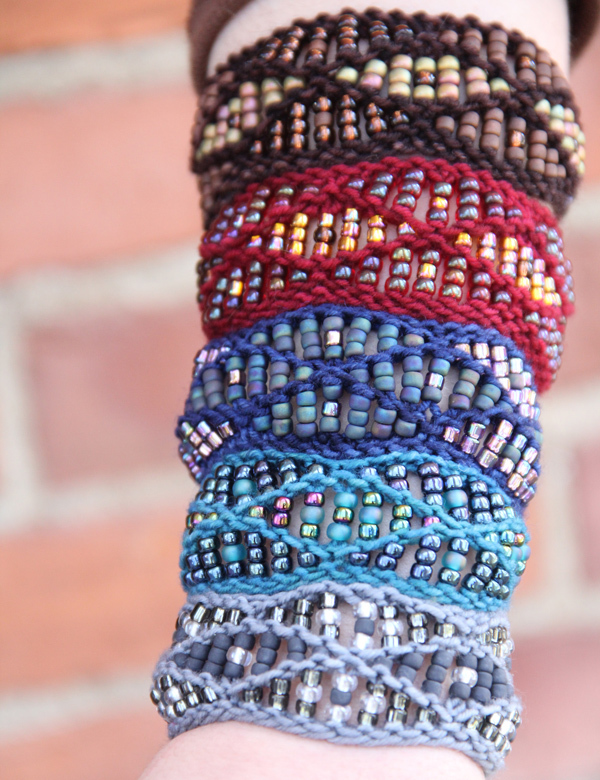 Nelkin Designs Blog: Beaded Waves Cuff: Pattern, Kit and Tutorial! 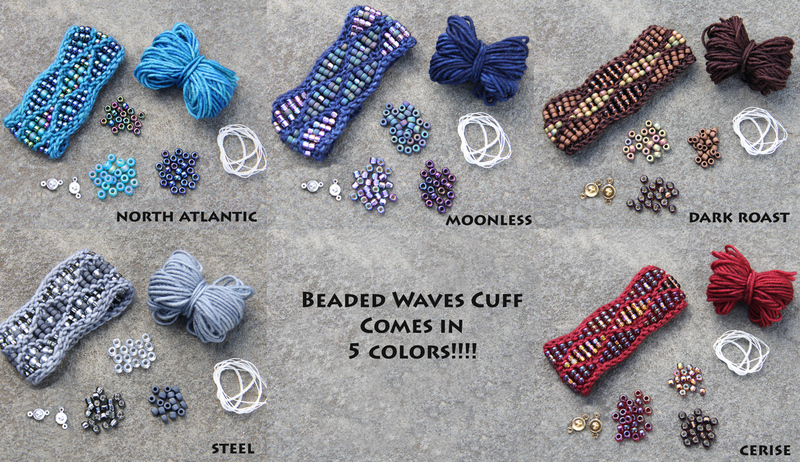 It's time to tell you all about my newest jewelry design and kit: Beaded Waves Cuff! I've actually had this pattern ready for a while, and have taught it numerous times in the last year, it just wasn't ready for public consumption until now! 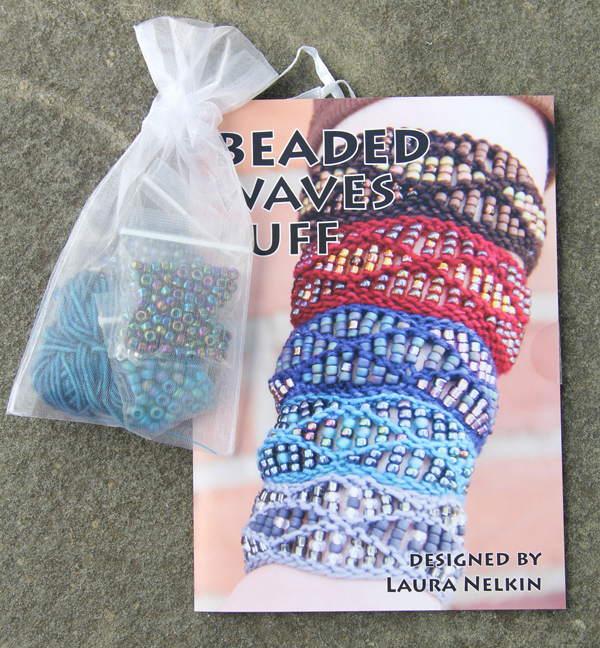 Beaded Waves, is simple, and fun! It plays with elongating stitches on one row, and then placing beads on them on the next row. I've used the technique of placing beads on Elongated Stitches in Fino and Oscillo, so it was a natural progression to design a cuff with the technique! In the pattern I have suggested 2 possible layouts for the bead colors, one with 2 colors and one with 3 colors. There is even a blank diagram for you to design your own bead pattern once you get the hang of the pattern! Pattern available here for $5. Kits available here or at your LYS for $17. Tutorials available here and here for free : )! I got my kit(s) yesterday and cant wait to get to them. Love the colors! and the beads! I like The c beads, best! Already made the bracelet and I just got it at Rhinebeck. I bought Moonless. It was a lot of fun to make but may I suggest in addition to the lovely colors you already have how about something in a rich green, black, or purple? Thanks!!! I've got plans for new cotton colors for spring... and there is a purple and black in the mix for sure!